Bridgeton District Library (1903-6), 23 Landressey Street, Bridgeton, Glasgow. 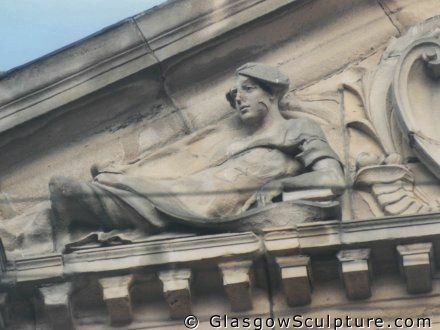 Sculptor: William Kellock Brown (1856-1934). Architect: James Robert Rhind (1854-1918).